This past holiday season, I had the pleasure of appearing as Mrs. Cratchit in “A Christmas Carol” at The Goodman Theatre. On several occasions I thought how much my mother would have loved to see me in it. Before I met my husband, my mother was my biggest fan. When I say my mother would have loved to see the show, I mean the mother who raised me and was always there for me in my young adult life — the mother I knew up until 2008. That mother saw me every night when I had the lead in my high school production of “Mame.” The box office people knew her by name and on nights when tickets sold out, they let her stand in the back and watch. Whether I was performing on Broadway or a storefront theater, my mother was in attendance and always sang my praises. I am describing my mother before Alzheimer’s. In 2008 she started slipping away, calling me less and less, repeating herself more and more, forgetting birthdays and asking strange questions like, “What day is Thanksgiving, Tania?” From then on, a different mother emerged. She was still loving but unable to be there for me because her memory was fading. For instance, she couldn’t remember that I was pregnant with my second child and wasn’t at the delivery like she was with my oldest. She had no idea what was happening in the world. She never asked about my children or husband. She didn’t know where I lived. She had no idea I was a professional actress. Mom was a doctor who never left the house without looking her best. She always wore dresses. She went to the hairdresser every week for a wash and set. She was private to a fault. In the nursing home she wore pants, let the caregivers braid her hair in cornrows, and shared a room with two other patients. I suspect that she’d be mortified by the woman she had become, and I had to make peace with that. I didn’t love her any less when she lived in the nursing home. She was her purest self. The essence of my mother — sweet, good, funny, kind and loving — remained. It stings that she didn’t see me play Mrs. Cratchit; and it pains me that—even if she was still alive—she couldn’t have attended. She wouldn’t have been comfortable leaving the nursing home, getting in a car or sitting in a dark theatre surrounded by people. I don’t think she would have even understood it was me on the stage. 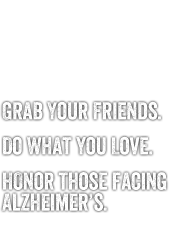 Alzheimer’s splits a person in two; their life divides into who they were before and who they are afterwards. I grieve my Mom twice, mourning two spirits but lucky for having known both. In addition to being a wife, mother, writer, actress and teacher, Tania Richard was a caregiver for her mother, who was diagnosed with dementia in 2011 and passed away the following year. In the short time Tania was her mother’s caregiver, she learned a great deal about the challenges caregivers face.